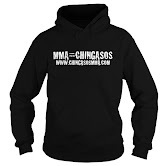 November 2013 | MMA Fighting Events Videos Techniques UFC Fight Picks and News. UFC 167 is going down tomorrow night and it’s time to get into my fight pick and preview. In the last 8 UFC main event pay per views (PPV’s) I’ve gone 7-1 in my picks. The one loss in that streak was the Silva vs. Weidman fight. I think that one surprised a lot of people. But anyway, I’ve been getting a lot of questions about UFC 167 so let’s take a closer look at George St. Pierre vs. Johny Hendricks. Then, as always, I’ll make my fight pick. George St. Pierre (GSP) has been a dominant force in the welterweight division. His skills, and his mental approach to fights got him to the top and have kept him there singe August of 2007. GSP has an overall record of 24-2. Those losses were a long time ago, and like a true champion, he’s avenged both of them (Matt Serra, Mat Hughes). GSP is the complete MMA package. He’s great in all aspects of MMA. There’s not very many holes in his game, if any, but…the knock on GSP is that he doesn’t finish fights. His last 6 fights have all gone to the judges. 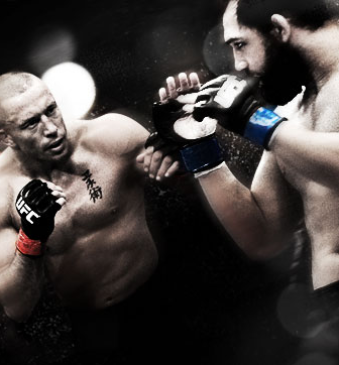 This Saturday at UFC 167, GSP faces his toughest threat yet in Johny Hendricks. Hendricks has the wrestling ability to smother fighters and pull out decisions, but he also has legitimate and dangerous KO power. Hendricks has an overall MMA record of 15-1 with 8 of those fights coming via KO/TKO. This is a dangerous match up for GSP as he won’t be able to take Johny Hendricks down and will have to stand and trade with the heavy hitting KO artist. I'd like to see Hendricks shake up the division with a convincing win, but GSP is too smart of a fighter to let that happen. While GSP will have to watch out for that big KO punch, he’s experienced and skilled enough to avoid that big shot while peppering Hendricks with technical striking to pull out a decision victory. What do you think? Will Johny Hendrix be able to land a KO blow? Or, will GSP cruise into a decision victory with his technical striking?